Get Kickin with Dunedin TaeKwonDo. We teach: Honor, Courtesy, Integrity, Perseverance, Self-Control, Courage, Community, Strength, Humility and Knowledge. 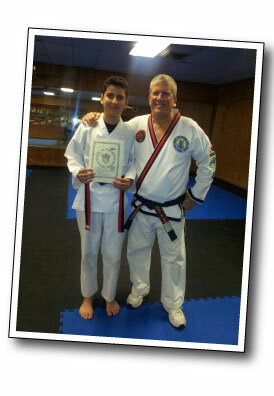 Our mission is to empower students and instructors through TaeKwonDo training. Welcome to Dunedin TaeKwonDo Academy. We would like to take this opportunity to show you how we can provide the best martial arts training for anyone at any age. We have very flexible schedule. We also offer private and group lessons, after school programs and summer camps. Please take a moment to browse our website and find out why we are the best taekwondo academy in Dunedin. So come, get kicking with Dunedin TaeKwonDo. Become a fan on Facebook and check out our studio pictures. • 1st 10 to Sign Up Receive a FREE Uniform & T-shirt! • Register for the summer and Earn a FREE Week! Summer class schedule can be found on Programs page under "Class Schedules." "Get Kickin With Dunedin TaeKwonDo!"